I think hot air ballon decorations are adorable and they embody the spirit of dreaming big. It is hard to even imagine what it must have been like for the first person jumping in a hot air balloon and actually taking flight but you know it must have taken vision, courage, and self-belief. For hot air balloons, the sky is the limit! Part of my path into adulthood has been realizing that I can dream bigger and that I should. I hope to teach my children to dream big and chase after their dreams because I know they can achieve what they set their minds to doing. 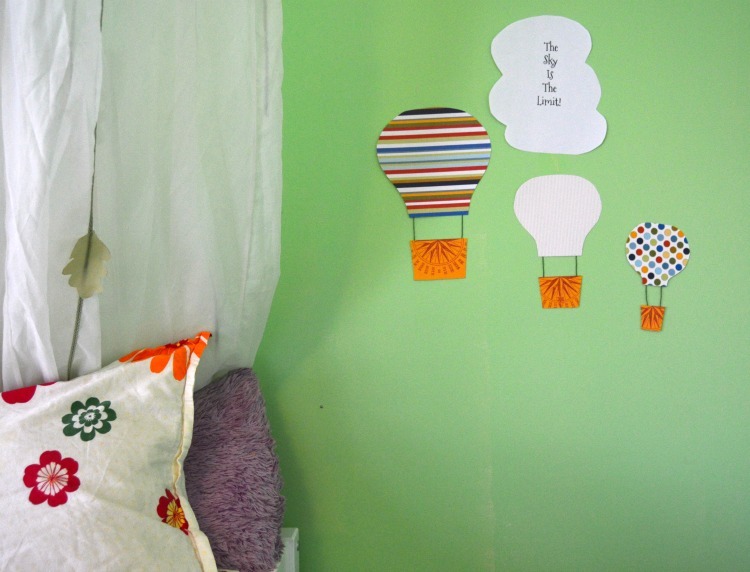 These hot air balloon decorations the perfect fun craft to do as you chat with your child about their dreams. Thy are also perfect decorations for a baby nursery, a child’s room, a party or as classroom decor. 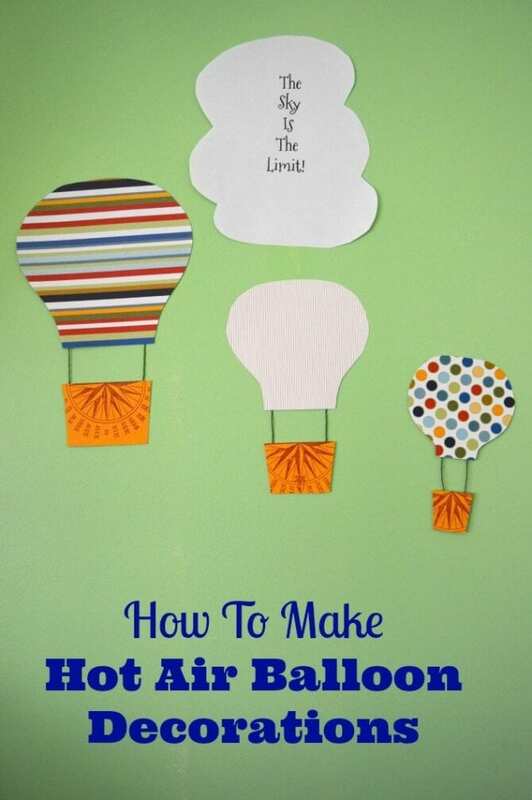 Here is how you can make hot air balloon decorations in just a few easy steps. 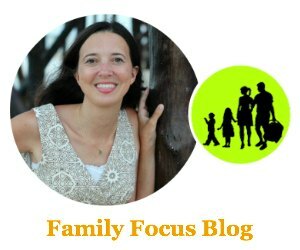 On the note of dreaming big- you have to check out the Dream Big Podcast! Eight-year-old Eva is a real star and she interviews amazing people who do what they love and live their dreams each and every day, like astronaut Chris Hadfield! First gather up your supplies. 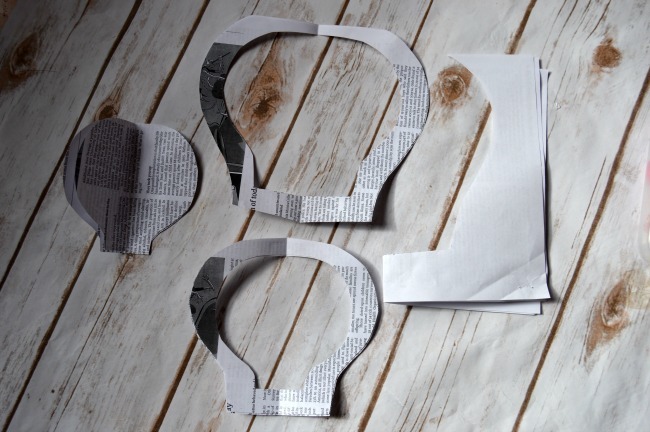 Take your scrap paper and fold it in half and draw half of a hot air balloon shape with the middle of the hot air balloon hitting the spot where the paper folds over. (Don’t worry about drawing the basket. We’ll do that later.) Then cut out the first and smallest hot air balloon. 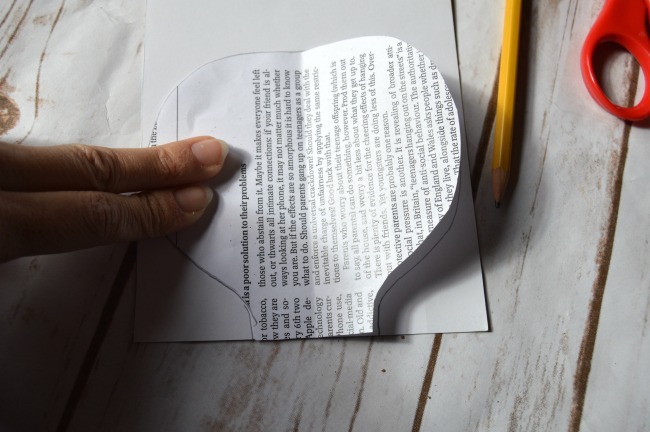 Next, take the same scrap paper that was folded in half and draw a second, larger hot air balloon shape against the fold. Cut out the second larger hot air balloon. Now draw a third, even larger hot air balloon shape on that same scrap of paper agains the fold. Cut out your third, largest hot air ballon. Pick 3 coordinating scrap book paper patterns that you like or you could just use one sheet if you want all your hot air balloon decorations to look the same. 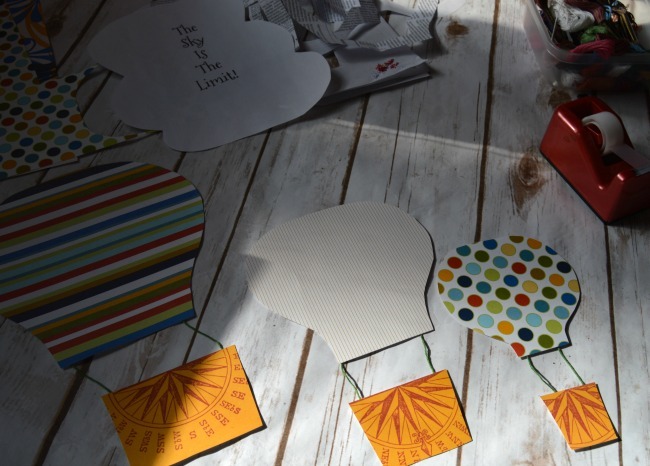 Take the 3 scrap paper hot air balloons and use them to trace the full shape onto the back sides of your scrapbook paper. (This just helps you get a nice symmetrical hot air balloon without a crease down the middle.) 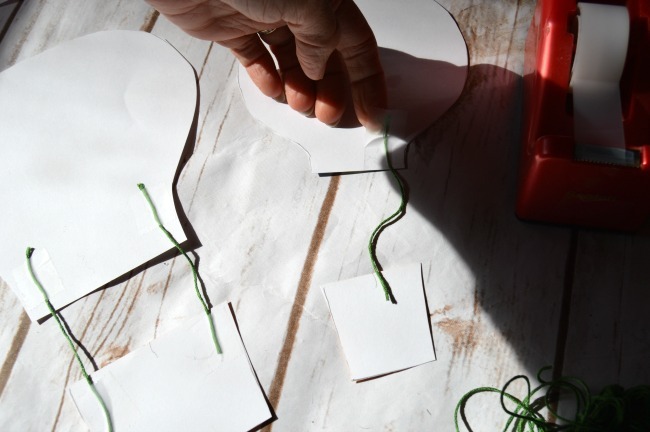 Cut out the 3 sizes of Hot Air Balloon Decorations. Now take another sheet of scrapbook paper that contrasts nicely and turn it to the back side. Hold your scrapbook paper hot air balloons against the this sheet so you can see how wide you want to draw your baskets. 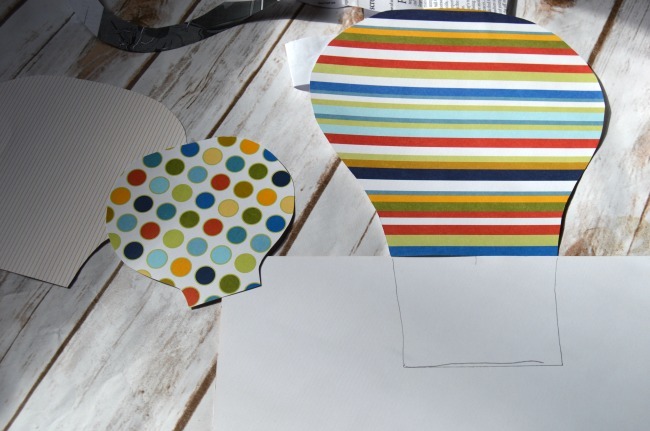 Draw and cut out a basket to match each hot air balloon size. Cut 6 pieces of embroidery thread about 2.5 inches in length. Use tape to attach the embroidery thread to the back side of the hot air ballon and then to the backside of the basket. Do that for all six pieces. Now you 3 sizes of Hot Air Balloon Decorations are done. 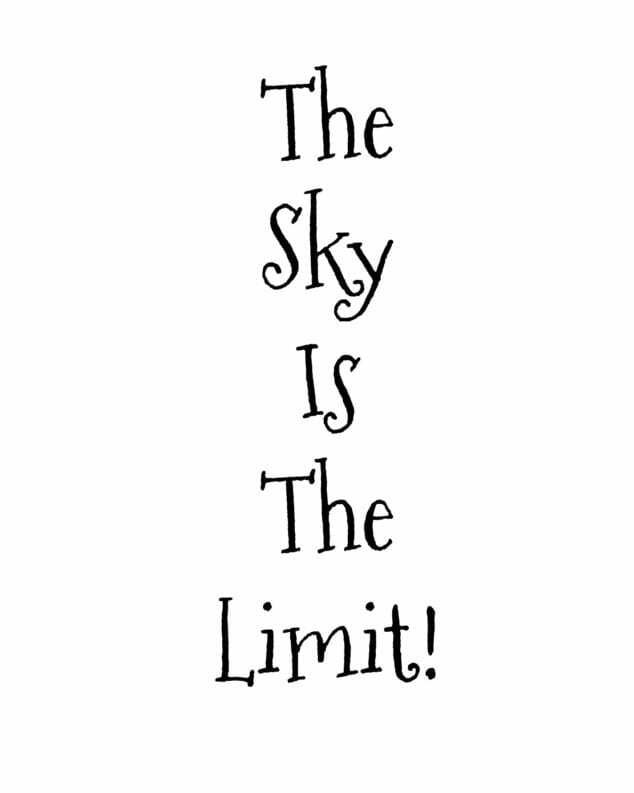 Now you can print the image I created, The Sky Is The Limit Printable. Just click on the below image and select file and then print or control and print. 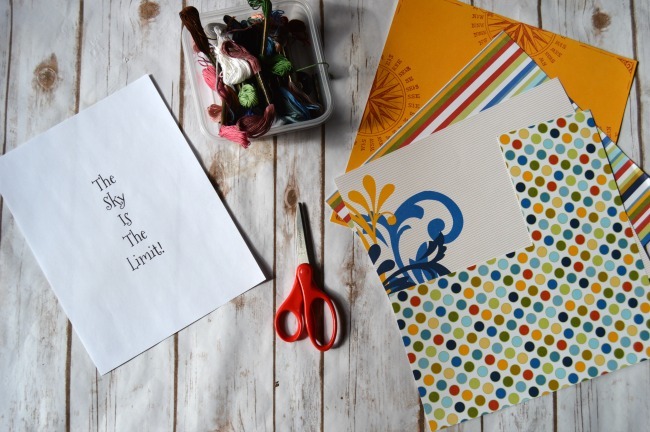 I cut my The Sky Is The Limit Printable into a cloud shape. Your Hot Air Balloon Decorations and The Sky Is The Limit sign are ready for you to use to decorate the wall. They would also look cute on a bedroom door. 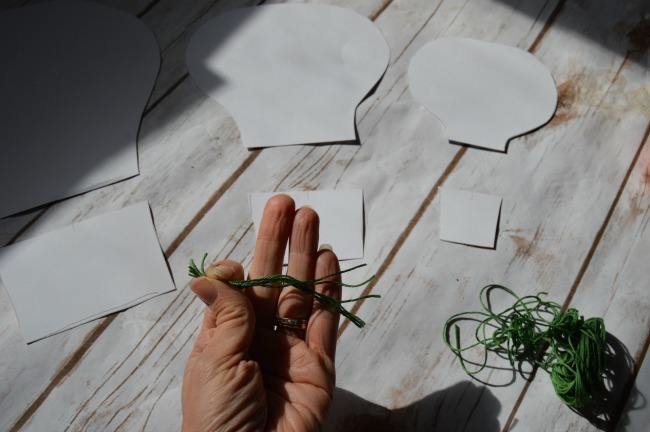 I hope you find this craft useful as a conversation starter to see what your child’s dreams and career goals are and to encourage them to believe in themselves and chase their dreams. I also found the Eddie The Eagle movie to be a great conversation starter with my son. You may also enjoy making a dream board with your child if they are old enough for detailing their dreams.